Join the Story Adventurers Lost Property Team, sort through lost items and help send a lost penguin on his way home! Decide the right route and choose the best transport to make the journey a success! 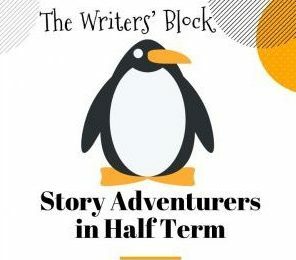 Taking well-known children’s stories, workshop leader and performer Jo Lumber, will guide and inspire children to create their own stories through a mixture of writing, drama and making. Or purchase by telephone on 01726 879500 or buy at Heartlands Pool or Tourist Offices in Penzance, St Ives or Truro.